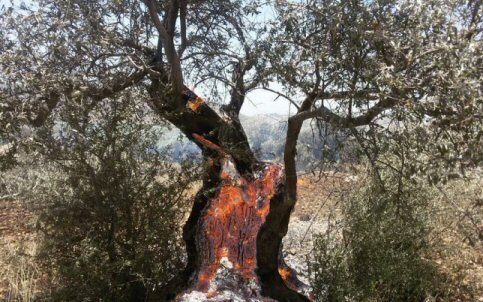 Jewish settlers attacked, on Tuesday, Palestinian homes in the northern West Bank village of Assira al-Qibliya, and set farmland on fire, according to Ghassan Daghlas, who monitors settlers’ activities in the north of the West Bank. Israeli occupation forces (IOF) on Tuesday handed a Palestinian family a demolition order to raze their house in Beit Ummar town north of al-Khalil city in the southern West Bank. 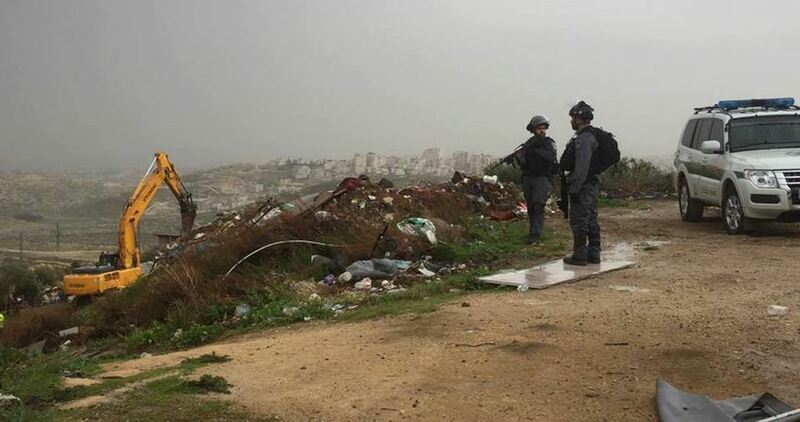 The Palestinian activist in the town, Mohammad Awad, said that IOF soldiers raided al-Thaher area near the illegal Israeli settlement Karmi Tsur which was focibly established north al-Khalil. In a press statement, Awad said that IOF troops handed a demolition notice to Ibrahim Abu Maria, stipulating the demolition of his 2-story house in which he has been living for 40 years. 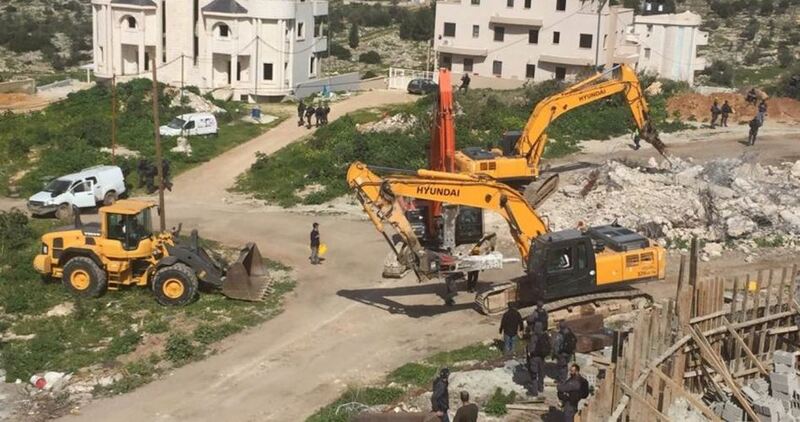 Israeli municipality bulldozers demolished on Tuesday a Palestinian home in Shufat neighborhood north of occupied Jerusalem. The owner of the house, Saleh Abu Khudair, said that he was shocked by the demolition of his home without a prior notice or any warning. In a statement to SAFA news agency, he elaborated that he built the house, 100 square meters, three months ago and that he has not moved to it yet. He pointed out that it was the second time in which Israeli forces knocked down his house as it was demolished on February 21 after residing in it for three years. 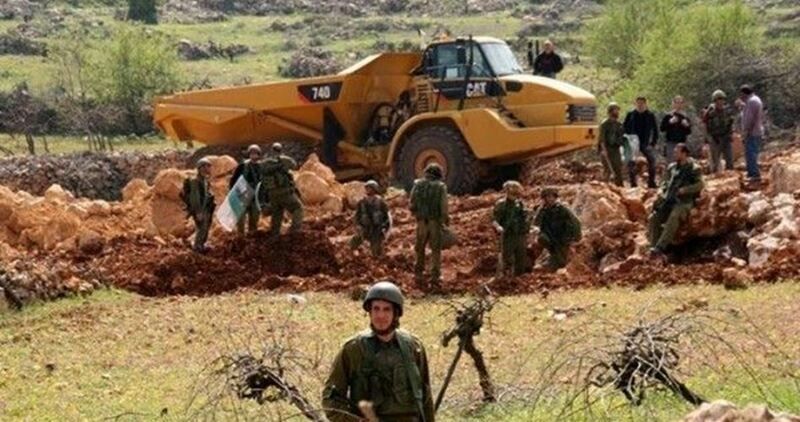 Israeli bulldozers on Tuesday leveled a Palestinian land east of Occupied Jerusalem. Israeli Jerusalem Municipality crews, accompanied by the Israeli police, stormed al-Tur town and raided a Palestinian facility near al-Zaitouna checkpoint. Israeli bulldozers then started to demolish a fence surrounding a privately-owned Palestinian land under the pretext of being built without an Israeli license. Palestinian citizens and journalists were prevented by the Israeli police from approaching the area. 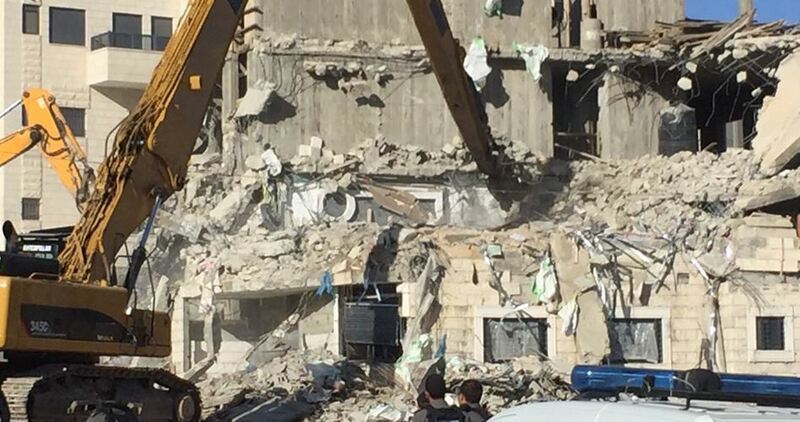 Israeli authorities during June 2018 demolished 15 residential and commercial facilities in Jerusalem and forced three Palestinian families to demolish their own homes. Israeli soldiers invaded, Tuesday, Palestinian agricultural lands in the al-Khader town, south of the West Bank city of Bethlehem, and posted orders for the illegal confiscation of 120 Dunams. The Israeli Occupation Forces (IOF) arrested at dawn Tuesday 16 Palestinians from different parts of West Bank provinces for being allegedly involved in anti-occupation activities. In Ramallah, violent clashes broke out after IOF broke into Abu Shkheidam to the north and Al-Quds Street south of the city. Heavy live and rubber bullets were fired during the clashes amid an excessive use of teargas bombs. 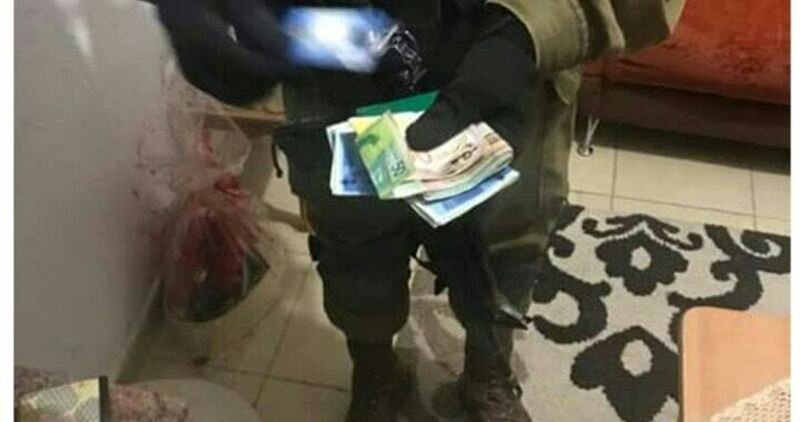 Similar raids were carried out in Beit Umar town in al-Khalil, where IOF confiscated $ 1,300 from a local house under flimsy pretexts. In a statement issued early today, Israeli army claimed that 16 “wanted” Palestinians were detained for being involved in anti-occupation activities. Weapons and tens of thousands of shekels were found during the raids, the statement added. In Nablus, four young men were rounded up from their family houses including an ex-prisoner who was released only three weeks ago. 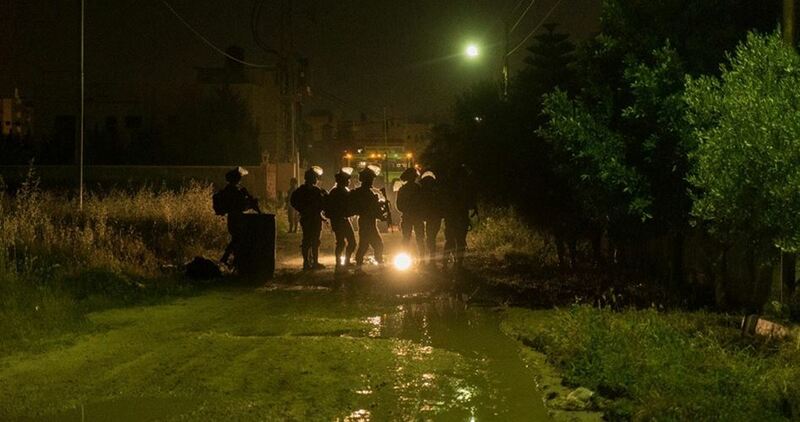 Seven other youths were detained in al-Khuder town south of Bethlehem. The Israeli occupation forces (IOF) at daybreak Tuesday kidnapped four Palestinians from Nablus province, in the northern occupied West Bank. Israeli patrols stormed northern Nablus and kidnapped the young man Taha al-Titi after they wreaked havoc his family home. Clashes flared up between Israeli soldiers and Palestinian anti-occupation youth. 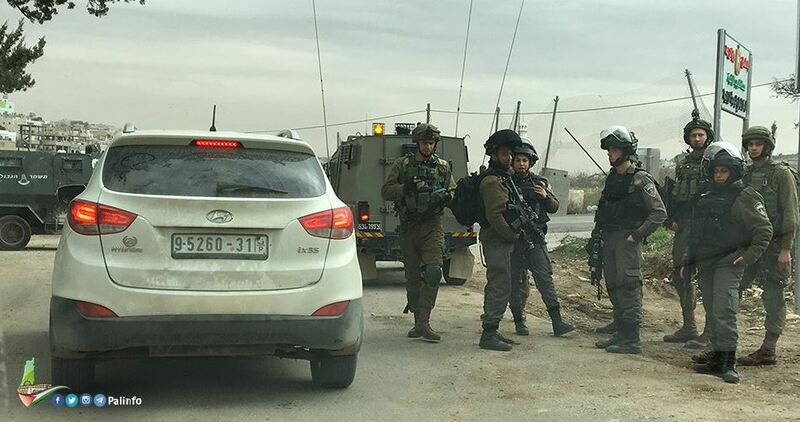 The IOF also stormed Madama, south of Nablus, and ravaged Palestinian homes, before they kidnapped 25-year-old ex-prisoner Ahmad Nassar and seized his brother’s car. Nassar was released three weeks ago following a 17-day hunger strike in Israeli dungeons. Israeli troops broke into Nablus’s southeastern town of Beita and kidnapped two Palestinian young men from their family homes. Meanwhile, extremist Israeli settlers stormed Madama’s outskirts, in what locals dubbed a sign of a preplanned scheme to seize Palestinian lands in the area. Palestinian Ministry of Education on Monday morning exceptionally opened the new school year at Khan al-Ahmar's only school in defiance of the Israeli plan to demolish the village. More than 170 students attended, alongside their families, as Minister of Education Sabri Saidam declared the beginning of the school year at Khan al-Ahmar school. The opening ceremony was also attended by secretary of Fatah's Revolutionary Council Majed al-Fatiani, head of the National Committee Against the Wall and Settlements Walid Assaf, head of the Detainees and Ex-Detainees Affairs Commission Issa Qaraqe, and a number of activists. Saidam denounced the ongoing Israeli violations against the families of Khan al-Ahmar and stressed that Israel's plan to demolish the Bedouin village and its only school will not pass. For his part, Walid Assaf said that opening the school year early in Khan al-Ahmar is a strategic decision that sends a message to the Israeli authorities that demolishing the village and displacing its residents is not acceptable. Israel's Supreme Court had decided to freeze the demolition of Khan al-Ahmar pending examination of a petition filed against the project. 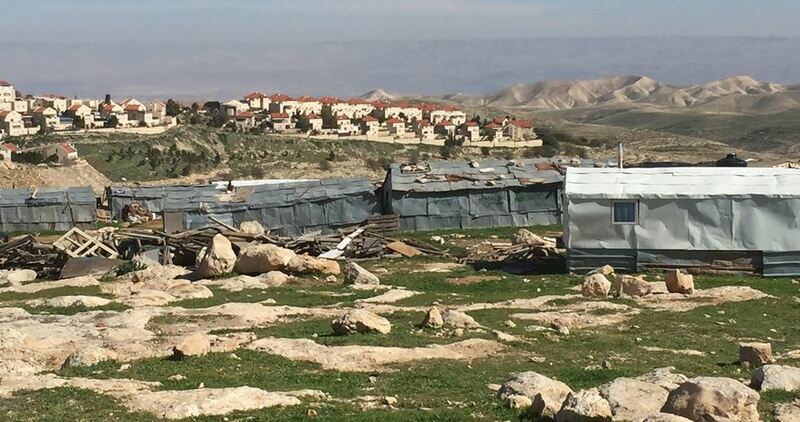 Demolition of Khan al-Ahmar is part of a larger project prepared by Israel's Minister of Agriculture Uri Ariel in 1979 to uproot all Bedouin communities east of Jerusalem. Israeli occupation forces (IOF) at dawn Monday kidnapped 18 Palestinian citizens during raids launched into several West Ban provinces. Israeli occupation army said in a statement that its forces arrested 18 "wanted" Palestinians involved in popular resistance activities against Israeli targets. The army said that several Palestinian houses were searched in the campaign, claiming that weapons and thousands of shekels used to fund resistance operations were seized. According to Quds Press, the IOF arrested ex-prisoner Khaled Salah at daybreak Monday, three days before his wedding, after raiding his family house in al-Khader town south of Bethlehem. Local sources told the PIC reporter that the IOF arrested another Palestinian youth in Dheisheh refugee camp in Bethlehem, while sporadic clashes broke out in the area between Palestinian youths and IOF soldiers. No injuries were reported. According to the Palestinian Prisoner Society, a number of Palestinian houses were searched and other arrests were reported in Jenin, Tulkarem and Jerusalem. The IOF reportedly stormed Jenin refugee camp and erected temporary checkpoints on the Jenin-Haifa road. 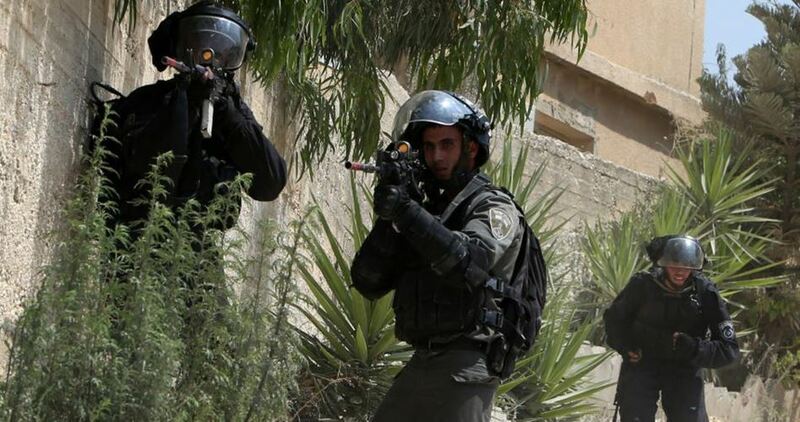 The IOF further raided Al-Judeida town, south of Jenin, searched the house of the Palestinian citizen Nayef Turkman, and interrogated his family. Meanwhile in Nablus province, violent clashes erupted at night in Sebastia after the IOF stormed the town for the second time in the last 24 hours. Eyewitnesses said that about 7 Israeli patrols entered the town amid heavy firing of sound bombs and teargas canisters. Israeli soldiers installed, Sunday, two additional iron gates blocking the entrances of al-Khan al-Ahmar Palestinian Bedouin community, east of occupied Jerusalem, in the West Bank. The soldiers installed the two iron gates to block entry to the community, which is illegally stalled for demolition by the army, to serve Israel’s illegal colonialist construction and expansion activities. The new gates, and the extensive military and police deployment in the area, left the village completely surrounded, while the remaining way for locals and peace activists is on foot, through the mountains. 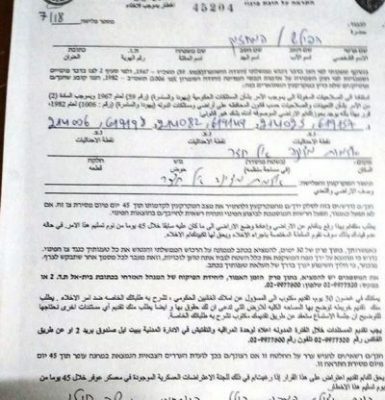 After several court sessions, and appeals to halt the demolition of the Bedouin community, the Israeli Supreme Court issued orders temporarily halting the demolition, and now, lawyers of the Popular Committee against the Annexation Wall and Colonies are hoping to obtain a new ruling, halting the destruction until August 15th. The army has been surrounding al-Khan al-Ahmar, home to 181 Palestinians, at least half of them are children, since the beginning of this month. 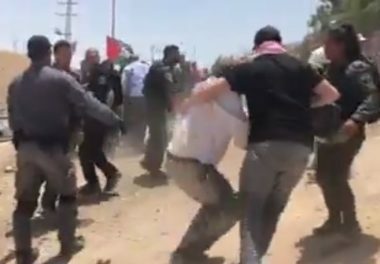 Dozens of local, Israeli and international peace activists have been constantly present in the village, and were repeatedly attacked, and injured, by the soldiers and police officers, while many others have been taken prisoner. The entire village is set to be razed to the ground by military forces under the ‘E1 Jerusalem Plan’ meant to encircle the eastern part of Jerusalem with Israeli colonial settlements to encircle Jerusalem and claim it for Israel, denying the Palestinian people’s historical and ongoing claim to the city.